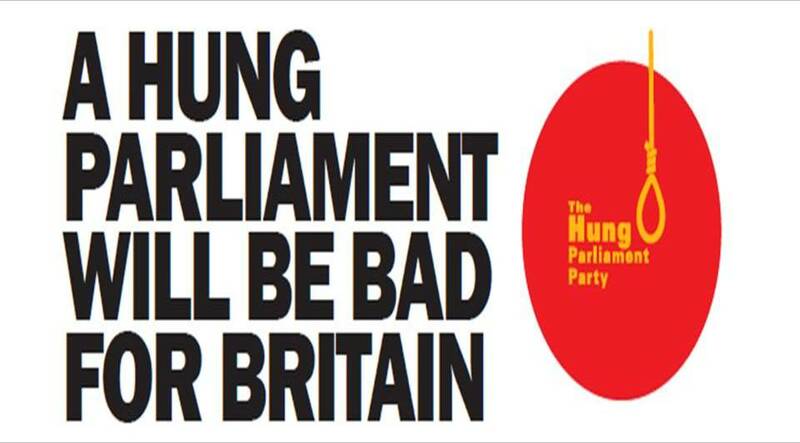 The Conservative Party have launched ‘The Hung Parliament Party’. The Tories openly admit that they are no longer competing against the Labour Party but instead against the possibility of a hung parliament. The Conservatives are obviously fearful that public perception of the possibility of a hung parliament is positive and are doing what they can to try and convince us otherwise. I’m not sure creating a fake political party was the best creative vehicle for this campaign. People are overwhelming turned off by political parties, so why create a new one to dislike?